Ren Zhengfei, the billionaire founder of Huawei Technologies, says he supports China's Communist Party but toe its line. 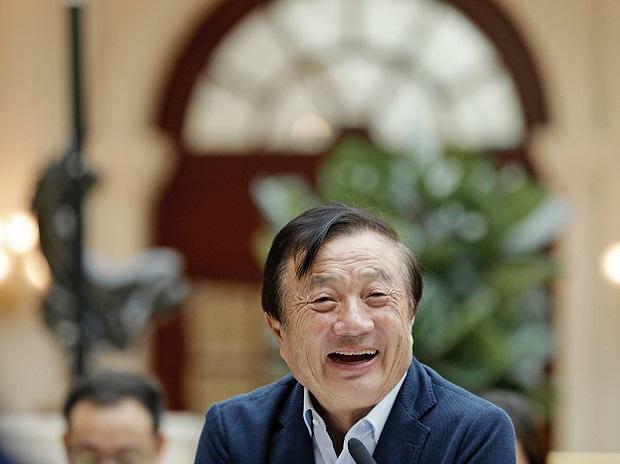 Ren Zhengfei, the billionaire founder of Huawei Technologies Co., broke a years-long silence to dismiss US accusations the telecoms giant helps Beijing spy on Western governments. Ren denied suggestions that Huawei aids the Chinese government in espionage, saying it has no regular contact with Beijing as his technology empire faces its biggest crisis in its three decades of existence. He also called Donald Trump “a great president” and said he’ll take a wait-and-see approach as to whether the US leader will intervene on behalf of Huawei finance chief Meng Wanzhou. Meng--Ren’s eldest daughter--is in Canada facing extradition to the US on allegations of helping defraud banks to avoid sanctions on Iran. A string of Huawei executives -- all the way up to rotating chairman Ken Hu --- have taken to media in recent weeks to deny allegations of espionage and challenge its accusers to provide proof of shady dealings. But the arrest in Poland last week of a sales executive accused of spying may have helped prompt the reclusive CEO to personally marshal Huawei’s global response. The employee in Poland was fired over the weekend. But it’s perhaps Huawei’s newest and splashiest campus in neighboring Dongguan that better encapsulates its ambitions. Overseen by Ren himself, the Chinese company has built a clutch of faux European towns modeled after the likes of Paris and Verona, complete with a lake, castles and bell towers. The complex is so massive employees have to get around by train -- and it’s still expanding. Within China, the US-led effort to exclude Huawei as the world prepares to adopt revolutionary fifth-generation wireless is tantamount to a national affront. The company remains a linchpin in Beijing’s effort to dominate future technologies by 2025 and a 2018 document from the Department of the Treasury showed that Huawei had about a 10th of the essential patents for 5G wireless networks. That would put it in a prime position to capitalize on the billions that will be spent rolling out the technology. “I’m a strong supporter of the world building a unified technology standard,” Ren said. Ren, who survived Mao Zedong’s great famine to found Huawei with four partners in 1987 with 21,000 yuan, said Huawei will continue to engage with governments so they can better understand his business. He stepped back from daily operations in 2011 by introducing a unique rotation system that allows younger executives to run the company for about six months at a time. But he remained the face of the company on major occasions, such as when he accompanied President Xi Jinping to a Huawei office in the UK in 2015. The company’s 2017 report shows he has a 1.4 percent stake, giving him a net worth of $2 billion, according to the Bloomberg Billionaires Index. Over the past year the accusations have intensified, compounded by his daughter’s arrest as well as the blocking or limiting of Huawei gear in the US, Australia, New Zealand and other countries.